And I know one more important question that might cross your mind would be:-Why proof of stake cryptocurrencies? Why should one know them? What’s so special about them? 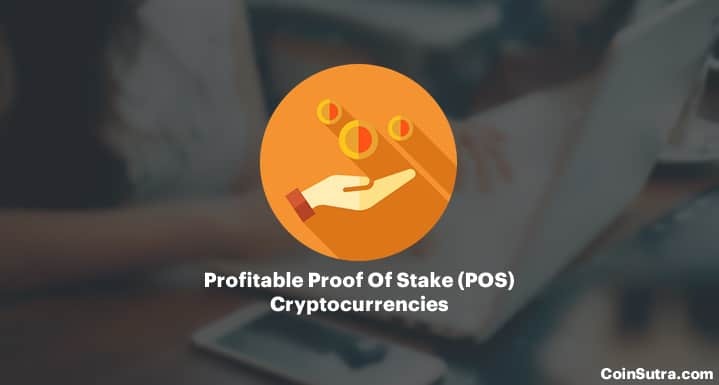 Proof of stake (aka POS) cryptos has many technical benefits but apart from that some proof of stake cryptos also give different economic benefits/dividends to its HODLers by giving them the option of running a masternode or staking their coins in a stake-able wallet. To simply put into perspective i.e you can earn by just holding many POS cryptocurrencies. This provides dual benefits of securing the blockchain network as well as creating an opportunity for users to get incentives or dividends on their holdings. I have already written in detail about the distributed proof of stake (POS) cryptocurrencies and its consensus mechanism in my previous article which you can read here. So if you are holding any such POS cryptocurrencies, then I think you should know how to start earning dividends by staking them in the right wallets. And if you are not holding any such POS currencies, then you should start looking into them, as they can be an excellent source of smart passive income. DASH is a popular cryptocurrency known as digital cash. It is one of the pioneer cryptos to implement a proof of stake consensus mechanism. DASH also allows its HODLers to earn dividends in the form of DASH by running a masternode. But the catch is that you need a minimum 1000 DASH units to run a masternode and at the time writing one unit of DASH is approx $300 in price. So if you want to make an investment of $ 300,000 (i.e. 1000 units * $300) to get an annual return of 7.5% plus the price appreciation reward of DASH over the time then this the best way forward because DASH is a promising crypto to HODL. And what is better than earning even on your HODLings. Also if you were an early adopter of DASH and have a significant amount of DASH units then you should definitely look into this. Note: I know DASH is not a truly POS but its masternodes work kind off in a POS way and keeping DASH coins there is very profitable that’s why I have listed it here. NEO is also a cryptocurrency that exists on NEO’s blockchain. Apart from the NEO cryptocurrency, NEO has one more crypto-token called GAS (formerly know as ANC or Antcoins) which can be staked in an NEO wallet for a handsome return and doesn’t require you to keep your staking wallets open all the times like in other POS cryptos. The return one earns is in the form of NeoGAS, which is now worth $24 each (at the time of this writing). 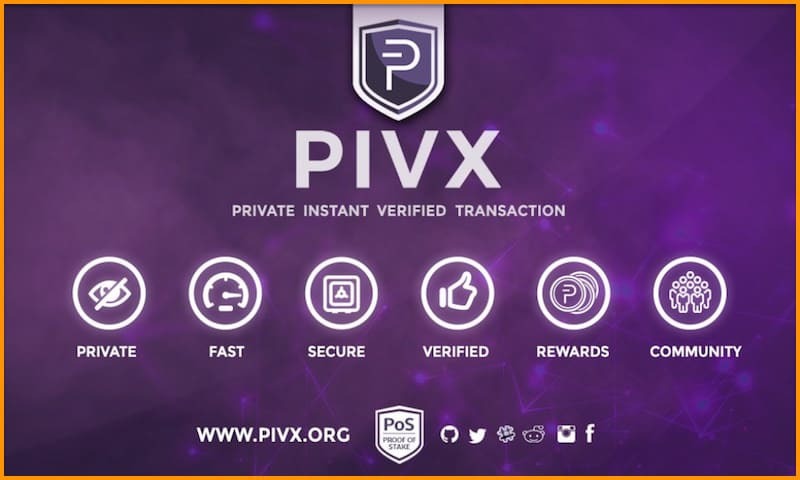 PIVX is the abbreviation for Private Instant Verified Transaction. It is a POS cryptocurrency that focuses on privacy and security while transacting. It was forked out of DASH in early 2016 and is a fully functional POS currency that allows its users to stake coins on the blockchain with a decent return. Another important thing is that you can stake any amount as there is no cap on it, which I think is a nice low-entry barrier. Another way of earing thorough PIVX is by running a masternode of 10,000 PIVX units which also gives you an annual 5% return on your holdings. So if you have PIVX ins significant amount you can start right away staking them in a masternode from now. Here is a DIY guide to set up your masternode and if you don’t want to do it yourself then here are a few masternode services that do it on your behalf for a small fee. Reddcoin aims to be the tipping currency of social networks. Using POS cryptocurrency Reddcoin, you can tip anyone for any content that you like on various social media platforms. Being a POS currency, Reddcoin can also be staked in a wallet which gives handsome returns to its holders. Like all the others, there is no cap for staking. Neblio is a next-gen enterprise blockchain solution that is building the tools and services to bring blockchain technology to enterprises of all size in an easy, fast, and secure way. Therefore, to secure the blockchain/DLT-database, it has proof of stake consensus mechanism enforced via its native NEBL tokens model. 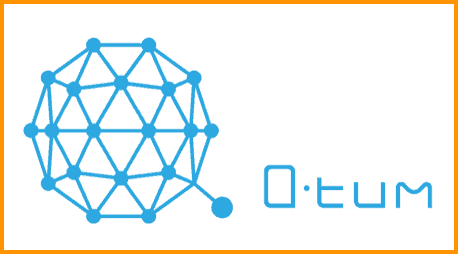 QTUM is an open-source blockchain and cryptocurrency developed/maintained by the QTUM foundation. It is a decentralized Blockchain application platform, capable of running smart contracts on multiple virtual machines, with Proof-of-Stake consensus. QTUM is the hybrid of Bitcoin and Ethereum but has its POS component also. It takes the best parts of both the blockchains and combines it in the real world to give us the best of both Bitcoin and Ethereum. OkCash is another proof of stake cryptocurrency that started off in 2014. It aims to be a fast currency that can be used for microtransactions. And in terms of staking rewards, it provides the highest returns to its users. For this, you just need to move your OkCash coins to a staking wallet, and it will start earning OkCash at a fixed percentage as a reward of minting blocks through staking. Another important thing is that you can stake any amount as there is no cap on it, thus making it low-barrier. NAV Coin is the first cryptocurrency that has a dual blockchain for private transactions. It is a fully functional POS cryptocurrency operating since 2014 based on Bitcoin’s core code. Some of the USPs of this currency are faster transactions (30 seconds), optional privacy with dual blockchains, and a POS staking rewards system that allows you to earn while you are sleeping. There is also no cap for staking. STRAT is the native token (or cryptocurrency) which runs the Stratis platform and can be staked in a Stratis wallet to earn rewards. Profit rewards are quite low for Stratis staking in comparison to its peers, but if you have a significant amount of STRAT, then you can think of staking it. Staking POS currencies is definitely one of the smartest ways to earn passive income. And in many currencies, the entry barrier is low to get started. I believe 1% to 5% free reward is not bad at all for literally doing nothing and just keeping your wallet open. Also, when I think of negative and zero interest rates in some countries like the US, then cryptocurrency staking is much more profitable. There are few more currencies such as NXT, PAY, etc. that provide staking rewards, but the rewards are so low that I didn’t feel it worthy to list them. On the other hand, there are currencies like DASH and PIVX that provide rewards only to masternodes that are staking a minimum of 1000 DASH units & 10,000 PIVX units respectively, which I believe is a very hefty investment for many. So let me know if you’re staking anything and what your favorite POS coin is? Let me hear your thoughts in the comments below! If you liked this post, then do share with your network! Great article, thanks. I did not notice any mention of how many NEO you need in order to get interest. 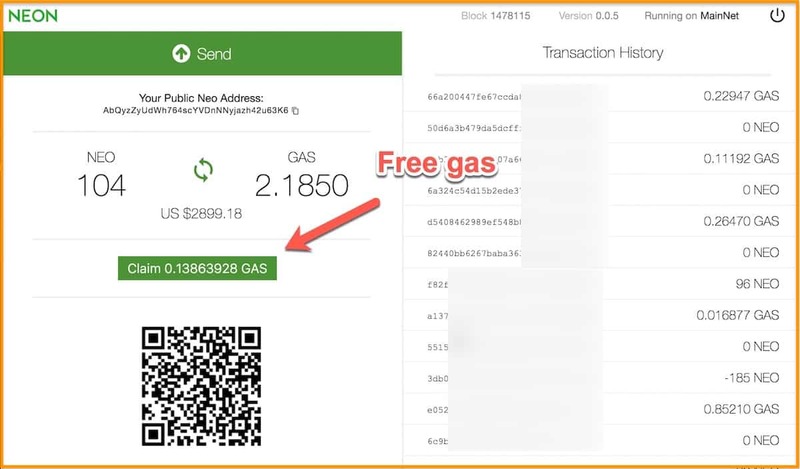 Also is GAS a separate coin or is it built into NEO? I have my NEO in NEON wallet. Do I automatically get paid? You dont need a minimum amount to gather gas. Every single NEO will produce 1 gas over 22 years. So it will produce slowly but it goes. Use Neotogas.com to calculate how much you will earn with how many neo you own. That was quick, Yeah it uses a decay algo which will end in 22 years approx. You can have 1 NEO and earn gas. You have to log in to your wallet, and create the gas TX to send it to your wallet. Wil update that but as far as I know it has not yet started doing that. QTUM staking has been live since their ignition mainnet launch on 9/13. Block rewards are disproportionately high right now due to a relatively low network weight (~12M). QTUM in my opinion has one of the largest upsides of any other PoS platform. Their protocol stack is built on Bitcoin’s UTXO blockchain and has integrated the EVM (ethereum virtual machine) smart contract protocol using their AAL (Account Abstract Layer) protocol. Essentially Qtum will become the first smart contract platform which can be accessed through mobile and IoT devices. Didn’t forget… Tell me your stats about staking it I will update it accordingly. You won’t make any money with Waves. Currently they are only doing 1,185 transactions in 24 hours. That is laughable. You definitely miss neblio. Annual Return – Approx 10 %. Want to build blockchain as a service like stratis. Check it out ! Thanks will check it out about its authenticity. thanks for the article. Neblio also has a staking wallet build for raspberry pi, which means you can stake at very low energy cost, very interesting! Thanks and do share your experience of staking. Yes most of them require you to keep your wallet online all the time. What if you choose a web wallet like MEW or something else for coins other than NEO, would that be considered as open wallet or do you physically require a running PC at all times to get staking rewards? MEW is not open & doesn’t stake. do you have an youtube channel? yeah…DASH is not proof of stake…..really at all…it is a Miner/Masternode coin. I get what you were trying to do but it is not POS at all. Yeah, that’s why put a note! DASH is Proof of Work plus Masternode. PIVX is Proof of Stake plus Masternode. DASH mining consumes a huge amount of resources just like Bitcoin mining, and is monopolized by the same ASIC manufacturer, Bitmain. If you want a true Proof of Stake coin that doesn’t kill users with high transaction fees and/or high inflation rate due to paying miners, go with PIVX. thank you. appreciate your comment. Im just into staking. Do you recommend neo, stratis, okcash, reddcoin staking too? any other coin you suggest? apart from staking and mining, is there any other method to accumulate coins? Sure will look at it if it is legit..
Yeah I was wondering the same. VeriCoin is totally legit. No pre-mine and has been around since 2014. Not only that, it uses a unique Proof-of-Work-Time protocol that adds tremendous security. VRC provides a variable interest rate depending on the % of coins being staked. It’s a great project and I hope you take a serious look at it. Well, I bought Bitcloud BTDX – I bought at cryptopia just before Christmas a Masternode 10k BTDX for 0,27 BTC –> Today I sold my STAKING Coins and got 0,02 BTC – for an INVEST of less than 4000€ getting ~250 € in little more than a week seems to me quite good. At current speed ROI is in around 100 days. If you want to see screenshots, email me. You dont think, PoS is for people who invest huge mounts of money ina a criptcoin? For more you invest more you give. I mean, I try to stake 200$ in Reddcoin and my profits was really bad. Now ím trying whit another one but is the same. With low money is miserable profits. Ok let me update with high-profit coins but those coins are really risky to even hold forget about staking. 1400 TPS, static reward, one of the most rentable pos coin, cheap, very low fees, new wallet, recent rebrand, and it will be listed on Kucoin and Hitbtc soon from now! Any evidence of listing…I also found it interesting but didn’t list it for lack of much info. They cant be too open about listing, but it’s a fact that those exchanges are under request. And the fact that Bitbean is still not so big is what makes it attractive! So much upward potential. if a coin holder prefers to use an online POS wallet instead of his/her home computer, which sites would you suggest? Check out this if you like it. But we have not used it. Good read! Might update this one with a more profitable PoS coin. #Neblio is giving stakers an 10% annual return and its possible for every holder to stake. Since the token, at the time of writing, is priced at around 25$ it may be the most profitable coin to stake right now. Cheers! Many thanks! !, I am checking out Neblio with a pi, will update soon. Anyone actually making any profits from masternodes? I am planning stake a few, will share my experience. I see that staking offers some returns but only if you hold a significant amount. But 5%-10% seems low compared to mining. Allow me to illustrate: $1000 stake @ 5% yr = $50, $1000 rig (3 cards) @ $5 day x 365 = $1825, even when you take away the $1000 hardware, $225 elec you have $500 vs. $50 and will earn and extra $1000 the following year. At the end of year two you have accumulated $105 vs $2000 from mining. Both cases assume zero growth in coin base value. If that changes the gap widens more. So aside from making the network stronger how is this more profitable than mining? I have staking SWISSCOIN SIC, maybe up 50% annual return for every holder to stake. SIC price at around 0.005 USD it may be the most profitable coin to stake right now. I’ve been staking with it for months and its returning about 15% per year. Great, Will check that out. Is it stakable on a pi? No mention of SmartCoin? https://smartcash.cc/ . I’m surprised. It’s on the coinmarket cap top 100 and it’s one of the easiest to stake and get monthly free coins. Your thoughts on SMART? What’s the percentage? It is very minority fork so didn’t pay that much heed to it. sir tell me about monk coin and xgox staking………??? Not really, not every POS coin worth looking and giving time. Please don’t think of short-term gains. These all can do to zero one day, if not having a useful usecase. I am running 17 master nodes of Smart Cash and so far I have earned around 10000 Smart and it has been 2 weeks. Smart Cash is awesome! Sure, will put that through. DASH is NOT a proof-of-stake coin !!! The DASH rewards mentioned here are for running a master-node, which is a 2nd tier layer providing special services. That is different concept then proof-of-stake. Like with staking one can also earn via master-nodes ( see https://masternodes.online ), but remember that it is a different concept from proof-of-stake. PIVX, for instance, has both proof-of-stake and master-nodes – so one can stake with any amount in the wallet, but to set up a master-node you need 10000PIVX. Staking Neblio right now. Great ALT to add to your list. great, do share your experience…Are you staking on a pi? I will add it to this list for sure. Umm Bean Cash is not mentioned here and it is far better than any mentioned in this list. Sure, thanks for the insights. I stake Potcoin (POT). The organization is a collaboration of farmers who grow medicinal marijuana in Canada. Since Canada is working on legislation for dispensaries, it makes sense to invest in the legal growers and the bonus is Potcoin is a staking coin. Trade for it and watch your wallet grow! Yrs i second Beancash. Its 58% apr andyou don’t have to have a wallet open on your pc. You can use btcpop.co it’s the only staking website as far as i know, just deposityour coins and watch your coins roll in! I get my beancash (bitbean) at bittrex. I have about 9000 of them but on btcpop.co you don’t need a minimum amount. Ok cash seems interesting because of the 10%, but i cant find much information about it more recent that nov 2016, and the fact that it was called Pimpcash before rebranding concerns me. How sustainable do you thing OK is? Decred should be added to that list! DCR is listed #40 in market cap (undervalued). Currently you can make around 18% per year mining it. Decred is also the first crypto to developed a hybrid PoW-PoS. In which, Ethereum wants to implement. For more information visit: http://www.decred.org. Sure, think the same way as you. Is it stakable on a pi? Hi Sudhir, you should also try Colossus. They’ve been in the Crypto for a long time and they growing strongly. And their coins are very cheap at this time. I cant believe you haven’t mentioned Bitbay! Bitbay staking is offering a 5% return and has an extremely active development team with some extremely interesting features including decentralized web marketplace and rolling peg due for release in Q2 2018. Wasn’t it 1 % before? Are any of these coins ok to stake in your own wallet? As opposed to a pool. I know some coins are hard to stake on your own due to staking pools having large wallets. Forgotten neblio, 10 % pos rewards a year.. Only thing you have to do, buy them and store them on your ntp1 wallet. Atm there are more then 5 companies running on the neblio blockchain and only has a market cap of 60 million. Huge potential for the future, way better and more profitable then the names called above. Decred (DCR) should be at the top of this list. Its PoS yield is per june 2018 between 15 and 20% annually. No, staking for btc,eth, & bch is not possible.